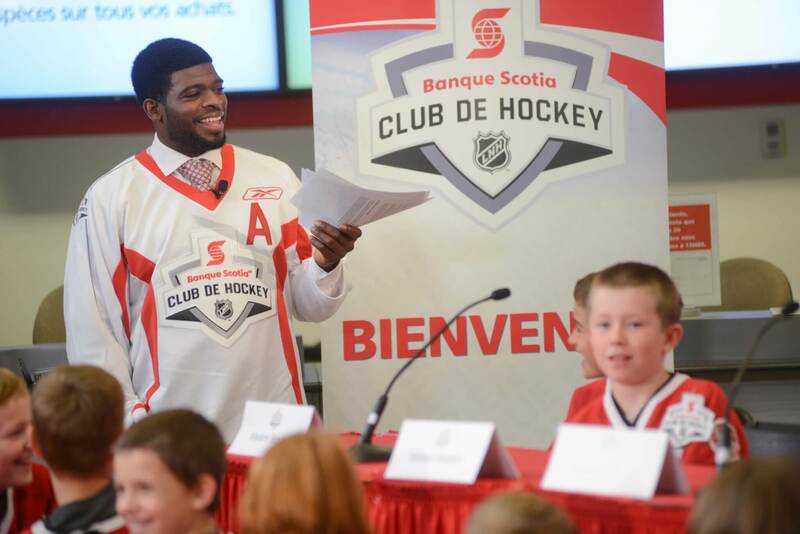 As Canada gets ready for its one of its most celebrated “unofficial” seasons – hockey, Scotiabank recently announced its newest Hockey Ambassador, NHL Star P.K. Subban. 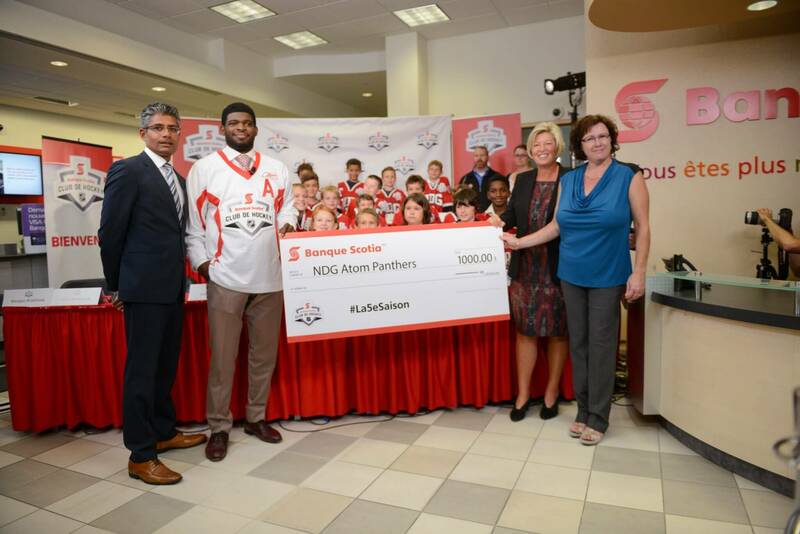 The announcement was made this week atScotiabank’s Brossard Branch in Quebec, when P.K. surprised the NDG Atom Panthers by showing up while they visited their sponsored branch. Originally from Toronto, ON, P.K. grew up playing community hockey in the GTHL and is now a star player for the Montreal Canadiens, a Scotiabank-sponsored team for the past five years. Be featured in “Portraits of the 5th Season”, Scotiabank’s hockey documentary series on Scotiabank’s Wednesday Night Hockey, starting October 7 on Sportsnet. Support Scotiabank’s sponsorship of local community hockey teams across Canada. Participate in some of Scotiabank’s special hockey events for Scotiabank customers throughout the season. Integrate with Scotiabank’s social media channels about local hockey and 5th Season initiatives.